例：My passion（情熱） is using technology（技術） to improve（改善する） how people achieve（達成する） outcomes （成果）in the workplace and how customers （お客さま）engage with （関わりあう）an organization（組織）. In 5 years（5年後） time I would like to be in a more senior position where I can have greater influence（影響力） over the direction and decisions around technology, staff （社員）and customers. 例：In 10 years（10年後）, I would like to be in a position where I have a larger team and budget （経費）to achieve technology driven outcomes. 例：I have two approaches （方法）to dealing with stress at work. 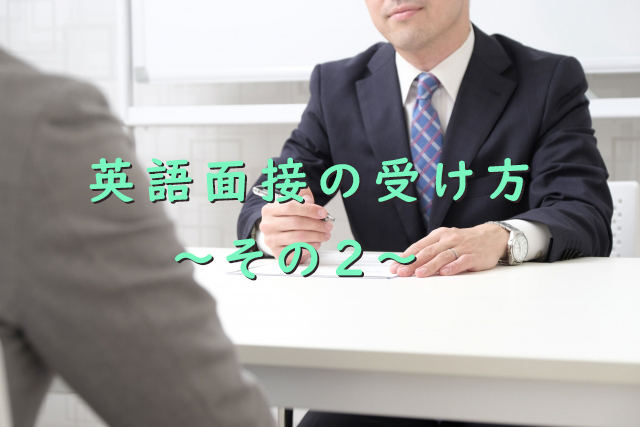 Firstly I try to address（取り組む） the issue（問題） directly（直接に）, for example（例えば、） if it is caused by a relationship（関係）with a colleague（同僚）. I will have discussions with （話し合う）them to see if it can be resolved. 例：Secondly, if it cannot be resolved（もし、それでも解決できない場合）, I use my time outside （外部）of work to reduce （減少させる）stress by walking（散歩） at lunch time, doing Yoga（ヨガ） after hours at my local gym（ジム） and reading（読書）.